Loteria™ El Barril De Fiesta is barrels of fun! 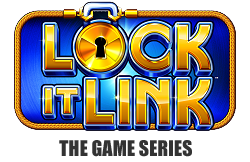 This thrilling slot game features the lucky symbols of the traditional Loteria board game, a rollicking Free Games bonus, and the player favorite Lock It Link® feature where a raucous Barrel Feature can be triggered. During the Barrel Feature, exploding party barrels can transform into gold nugget reels that award jackpots!